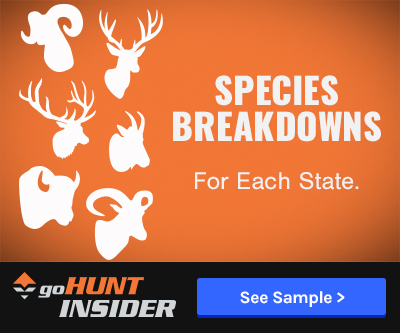 A severe case of whitetail sanity or insanity? In 2013 I sat in the same tree stand for 59.5 hours and as each day passed, I began to question my sanity. Was he ever going to show? The only thing I had going for me was that I had done my homework; he was on my trail camera for 18 days straight. While they were all nighttime pictures, I knew it was only a matter of time before he made a mistake. I thought it was going to be a slam dunk... This brings me to my 2015 whitetail season and a similar situation. 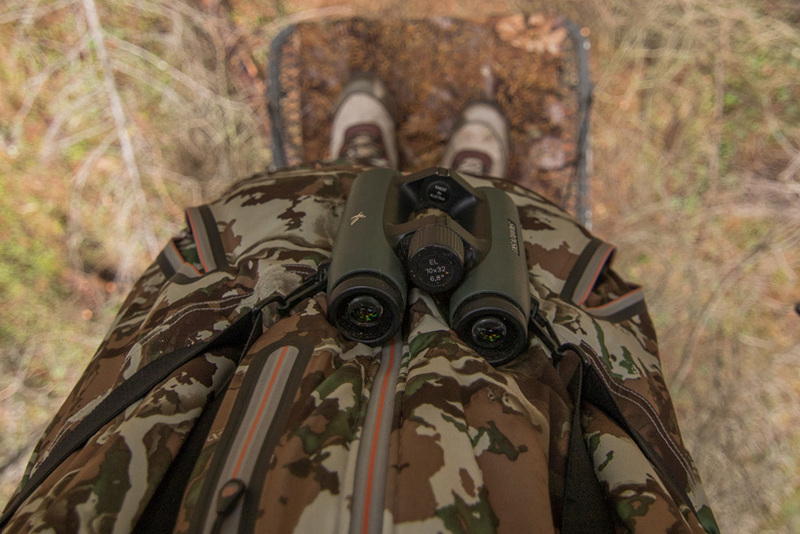 I sat in the stand on my second morning, waiting for the biggest buck we had on trail camera to come strolling by. 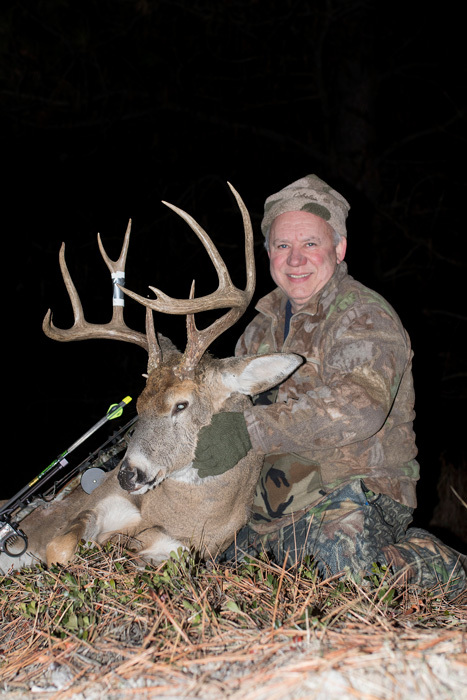 While conditions weren’t favorable for this hunt since snow and temperatures in the low teens or single digits are preferred, it was mid November and the buck I was after had made several daylight appearances so I knew that I had to be in the tree. It was pouring rain and in the 40’s; I was trying to figure out how to keep my video camera dry. Around 8:45 a.m., I looked up on the hill in front of me where I had watched several does the day before walk off. Catching some movement, I grabbed my binoculars to investigate. I couldn’t believe it. There he was! I quickly turned my video camera on and got focused on the buck only to watch him walk away. It figures. It would have been too easy anyway. On only the second morning after a couple of hours? That would have been way too easy for a 150” buck. Yet, I kept the camera rolling and, all of a sudden, he made a hook to the right and started down a trail that I never would have expected a deer to walk down. It made sense, though, that a mature buck would take the road less traveled. As I panned out on the camera, I realized that he was going to walk right by the stand; I didn’t even have my bow in hand. 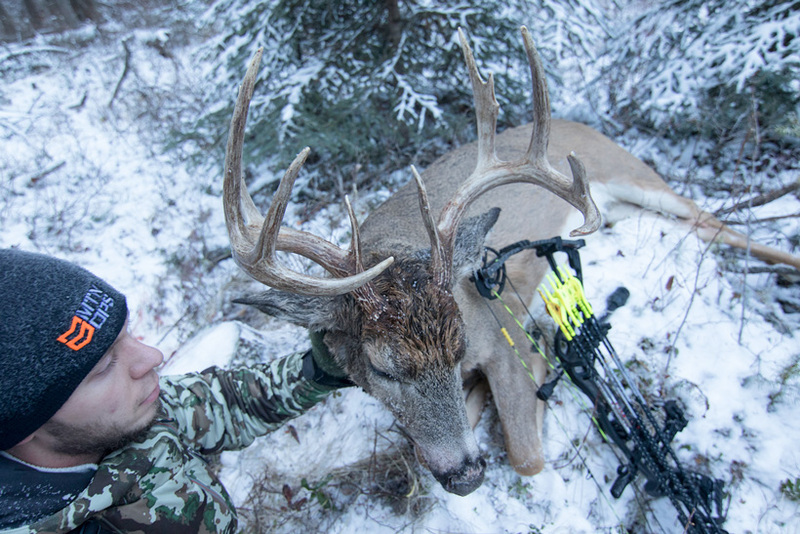 Reaching up to grab my bow, I realized that he was already at what I thought was about 20 yards going behind my tree. This was a problem as he was circling behind my tree and I hadn’t ranged anywhere where he was because I wasn’t expecting any deer to go there. He stopped, quartering away, I drew back and let an arrow fly with my 20 pin on his heart. As fast as the bow went off, I knew I had screwed up. He was farther than 20 yards. I watched my arrow shave a slight chunk of hair off his brisket and he ran, stopping to give a quick look back before continue to escape the area. I couldn’t believe what had just happened. 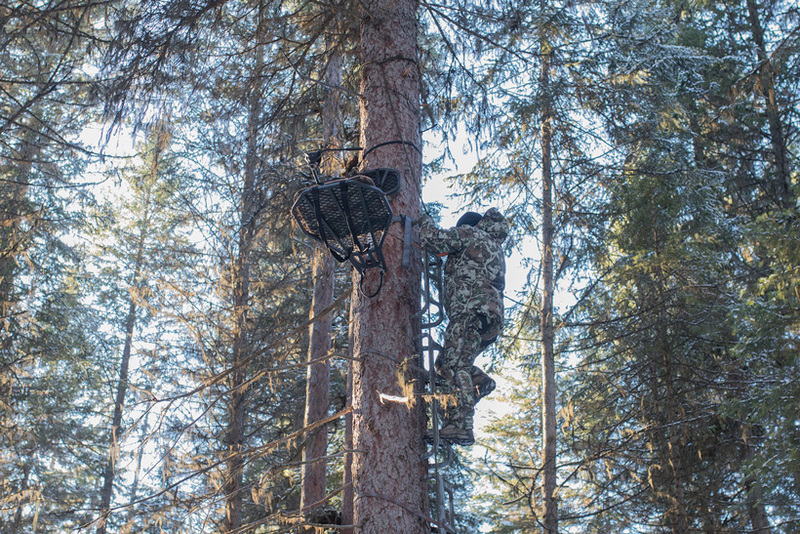 It was only the second morning and it would have been two consecutive years of whitetail hunting that I would’ve had taken two 150” bucks on public land in the mountains of Washington. Frustrated and soaking wet, I climbed down and went to make sure I didn’t hit the buck better than I thought before heading back to my truck to dry out. This is where sanity or insanity comes into play. Had I known what was going to take place after that, I might have just hung up my bow for the year and tried to look forward to the next one. Unfortunately, it’s not my personality to give up so I continued hunting, but switched to plan B. Plan B meant heading back to my stand where I had killed my other big buck. There were several good bucks roaming around that area. As the afternoon passed, I didn’t see any deer. I tortured myself by replaying what had happened that morning. Waking up the next morning and heading back to my plan B treestand, I knew there was a good chance at seeing one of the bucks hanging out there. Yet, as three more long days passed with nothing but some small bucks wandering by, I was getting discouraged. On day six around noon, a lone doe snuck by. Like clockwork, right behind her, was a good buck that I had picked out on my trail camera. I turned my video camera on him and watched him make a scrape before sneaking by. As I tried to draw on the buck, he heard me, got spooked and ran off. The conditions were horrible. Dead calm, no wind, and so quiet that you could hear a mouse running across the ground. These deer in the country I hunt are on pins and needles and, at the slightest noise, they bolt. Now that day six was winding down with another blown opportunity, I considered heading home even though I had four more days to hunt. Snow was in the forecast in two days so I convinced myself to stick it out. Seeing a lot of smaller bucks over the next few days helped me to stay positive. I went back and checked the camera at the stand where I had shot at the big buck and, two days after I shot him, he was back on camera. I couldn’t believe it and felt relieved that he wasn’t dead. I didn’t think he would show up in the daylight again. My dad had different thoughts, though, and had been sitting in that stand for the previous four days. On day five, that buck came by chasing a doe at 9:30 a.m. He was 20 yards away and my dad made a perfect shot. 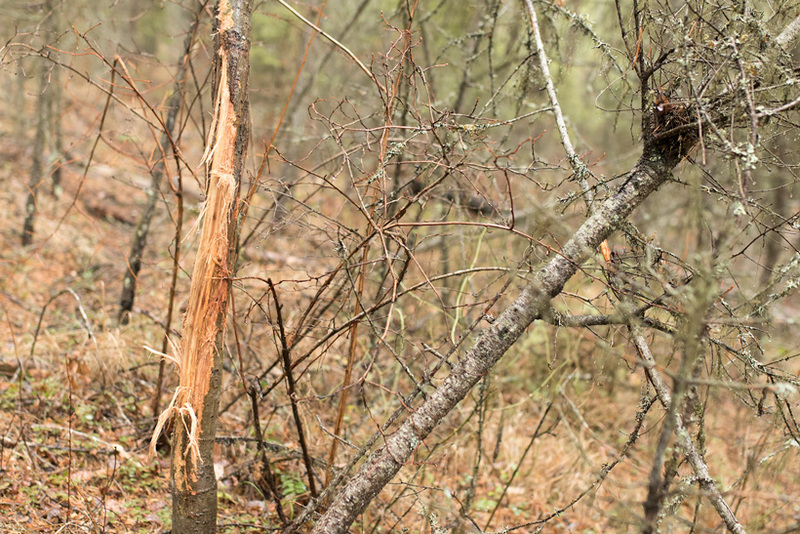 The buck only ran 60 yards before piling up. 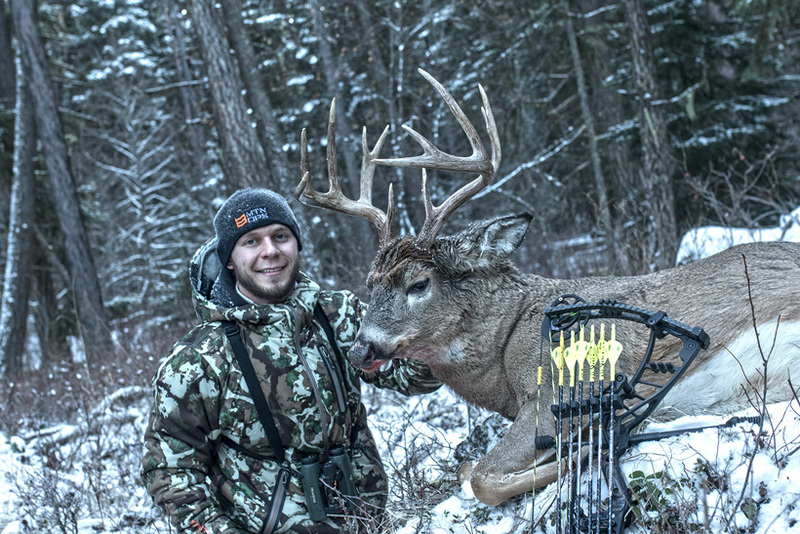 I couldn’t be happier for him and the fact that we had both shot at the same big buck was pretty unique! 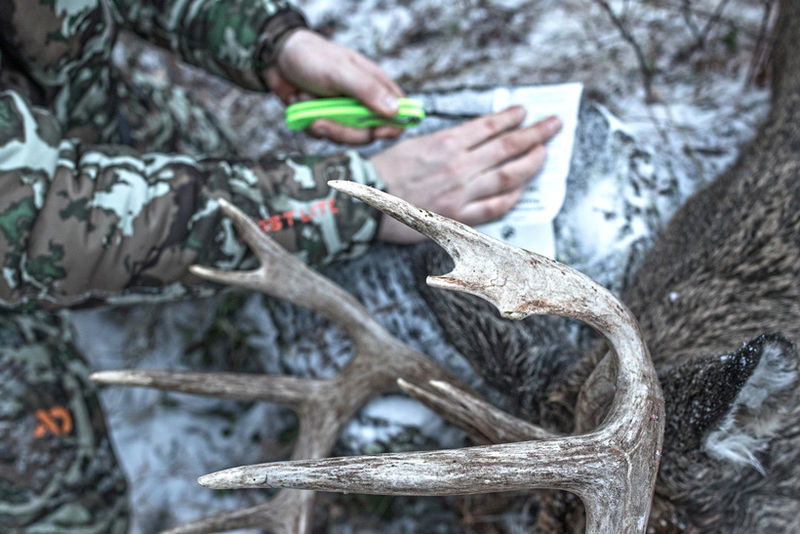 One of the bucks targeted for my plan B was a buck my dad had really wanted to kill: “Splits.” After spending 10 days in a tree and around 100 hours, I was tired, mentally. We took off and went home for a few days to celebrate Thanksgiving. After my Thanksgiving dinner, I took off and drove clear back across my state to hunt for three more days. I just couldn’t give up after how much work I had already put in; I knew that it was only a matter of time. Yet, doing the same thing over and over again and expecting a different result is insanity. I felt like, at some point, maybe it just wasn’t my year. The only thing that kept me going was hope. Friday morning, there was only a small amount of new snow on the ground, but it was crystal clear and 3 degrees Fahrenheit. Luck was on my side, sort of. I had commented to my dad that I have hunted all of these years and never had a buck come in while I was eating lunch in the tree. Well, it seems that all I had to do was mention that and it happened. Around 11:30 a.m., I heard crunching in the snow. I was facing the tree with a cup of coffee in one hand and a peanut butter and jelly sandwich in the other. Slowly, I looked over my left shoulder and, wouldn’t you know it, here comes “Splits” walking down the trail. I was stuck, my feet had frozen to the treestand since I had turned around so if I moved they were going to pop from the ice breaking free. Of course, he’s on my left and I’m left handed so I would have to turn completely around in the tree, which wasn’t going to happen. I watched him walk off with no shot. Again, pure bad luck. The rest of the day passed and Saturday came and went quickly with about half a dozen small bucks coming by. Knowing Sunday was my last day, it was all down to a little old fashioned luck. Around 9:30 a.m. I ate a protein bar, banana, and some Oreos with a cup of coffee for a quick pick me up. I had just put my stuff away and sat back down when I heard crunching from behind me. A doe and fawn walked by and wandered off. About an hour later, the doe and fawn ran by. I knew that wasn’t right and quickly peeked around the tree to see “Splits” standing about 30 yards away. I reached up slowly to get the video camera rolling and grabbed my bow. The buck walked by my tree and, after a 26 yard shot, he ran about 90 yards and piled up. While I hadn’t initially picked out “Splits” as a buck I wanted to target, my dad had. It was ironic that we shot each other’s bucks this year, but I couldn’t be happier with the way things turned out. Persistence paid off and I spent a total of 13 days in a tree which equated to 121 hours. 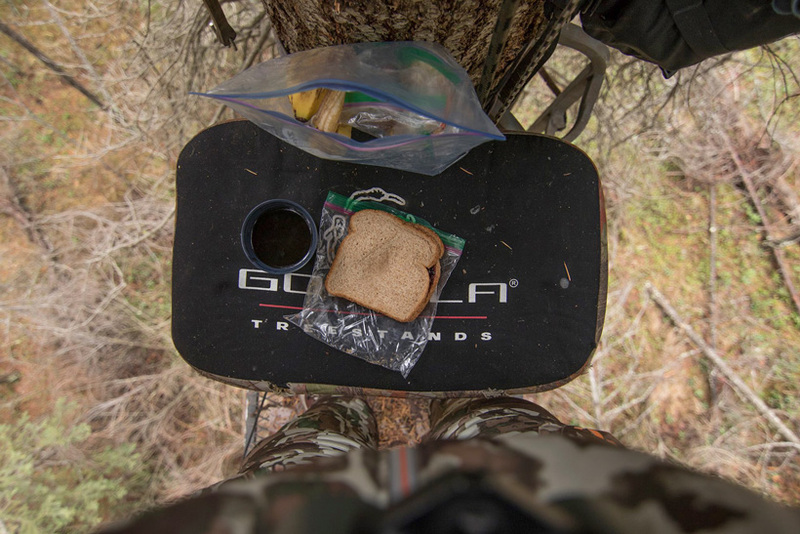 Had you told me over ten years ago that I would sit for 13 days in a tree I would have laughed and told you that there was no way. There’s so much more to it, though, than just sitting in a tree. 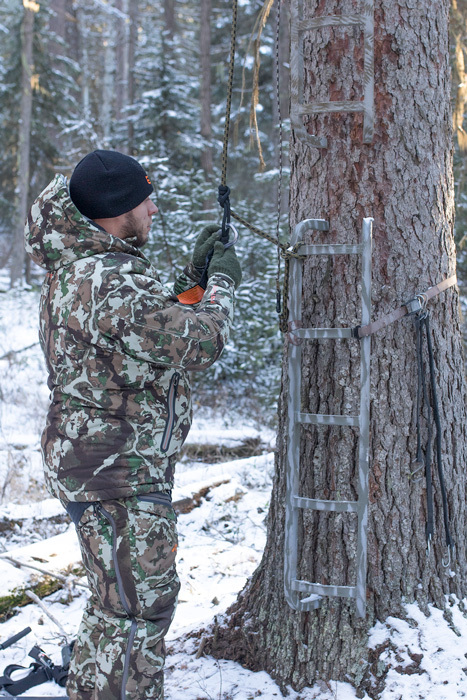 It’s watching how the deer react and interact with one another, seeing other wildlife walking by at any given time, and hoping all the homework that you did before hanging your stand would pay off. And the biggest thing, don’t give up even when things don’t go your way. 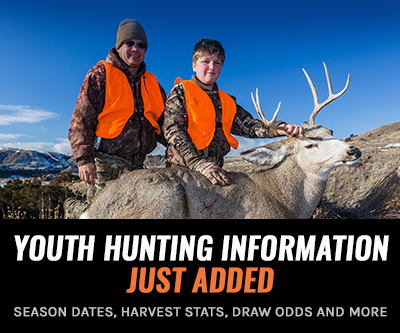 Just when you think you’ve learned everything there is to know about a hunt, there’s always something more you’ll learn for next season.